FIVE YEARS AGO I DID A SHOW WITH ROSLYN MCGRATH WHERE WE CHANNELED GOD. WHAT WOULD GOD HAVE TO SAY? WHAT DOES HE THINK OF US? IS GOD EVEN A HE? WHAT ABOUT ALL OF THE STRANGE OCCURANCES THAT TAKE PLACE HERE ON THE PLANET? SO THIS IS A REBROADCAST OF THAT SHOW IN 2011 WHERE WE CHANNELED WHAT SOME CALL SOURCE, THE SOURCE OF ALL THINGS. WAS IT WHAT I EXPECTED? YES, AND NO. THANKS TO ROSLYN WHO IS A DYNAMIC CHANNEL. Have you ever had something strange happen that you just couldn't explain? Does part of it now seem like a dream? I'm almost certain I've never been taken but after talking to my guest this week it's beginning to bring back some old memories and make me wonder. Byron Lacy was born in Texas and had his first alien encounter in 1955 when he was a young boy. He's had several throughout his lifetime. Some are clear, some aren't. 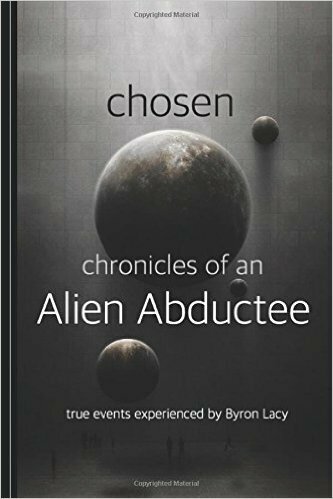 Over the years Byron has learned to communicate with his abductors, believe it or not, and has been able to find a few answers. They've saved his life more than once from disease and from bodily harm due to accidents. Why? Good question. He was told they wanted him alive. I think about my own escapes from somewhat certain disasters and while I've always thought it was angels, what if it wasn't? Missing time. Byron has several stories to tell about missing time, one time driving on a road with a friend only to realize later they had somehow gotten off the road and were on another. They retraced their steps and they would have had to exit from one road to reach another, which neither one of them remember doing. Implants. Byron has had implants, they've even affected his hearing. When he tried to tamper with them more strange things would happen. Apparently his friends didn't like him destroying their implants. Byron believes that 1 in 4 people are "chosen", the number may be even higher. He said there is a difference between Contactees and Abductees. Perhaps I am a contactee. Either way, I always have to wonder what the purpose of this is. Are they changing our dna, are they procreating with us? Are they preparing us for future changes? Byron feels that they are preparing him for changes that are coming. He feels they are changing his dna so that he can have more of a light body because the planet is going from the 3rd dimension to the 5th dimension. Well, I've been torn between those ideas as well. Many are saying that the earth is changing it's vibration to become a place of light (love) and those that inhabit it will be that way as well. What will become of the ones who don't change their vibration? They will live in an alternate reality of chaos on the 3rd dimension. So will there be 2 worlds, or just one? I don't know. Byron is of the belief that you can make your life better if you're an abductee by improving your attitude towards the situation. This show is not meant to scare anyone, it is just to inform and maybe help those who feel they have been taken. I do believe I've had contact with other beings, for all I know they could be doing crazy things to me but I don't believe they are. I am also of the belief that I could put a stop to it if I truly wanted to. I truly believe we have power over all situations, no one can take us without our approval. I believe we are all sovereign divine beings and it's because we don't totally realize it then we can be influenced. We make agreements before we even come here to experience certain things, those agreements can always be changed. After the interview was over with Byron I told him of an incident I had as a kid. I swear this happened. I was in the kitchen eating breakfast with my brother and we were running late. We had to catch the bus in a few minutes and I remember telling my mother we were going to miss the bus. My mother looked at me and said "No you won't." She reached up to the clock and turned the hands back 15 minutes. Now years later when I brought it up to my mother she said that was ridiculous. Byron's response? "They can alter time and even appear to be someone looking very human, even someone you know." Interesting. Identify precisely blockedemotions that cause health challenges. 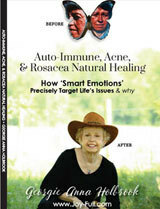 Discover how auto-immune disorders,acne, and rosacea are painful ‘smart emotions’ crying for help and love. Learnhow despite appearances, natural healing can happen. Let this book guide you tohealthier relationships/lifestyles, your own spiritual truths, awakening toyour life’s purpose and hands-on-remedies. Learn from clients’ healing stories,how to reclaim your childhood and love your true-self. As a society, we have beentaught to deny our hidden hurts, losses, traumatic events, high pressuredstressors, and abuse that we do to ourselves or receive from others. We havechoked off our life-force energy, served others until exhausted, joy-less onempty. We can now stop the trial and error anxiety and expensive search forfinding physical problems’ answers by replacing fear with faith and trustingour bodies to emotionally heal (on their own). Our bodies don’t lie! Thisbook can show you how to begin to treat your emotions as a friend to guide youinto a new way of compassionately validating all the ways your sensory bodygives you accurate intuitive signals that once understood, corrective actiontaken, wellness happens. Download FREEchapters of all 3 books off web site. Georgie Anna Holbrook is an internationally recognizedgifted empathic healer. She intuitively interprets for others how theirdisguised emotions show up in mild to extreme health challenges. Many times,she has witnessed these same conditions reverse. Her passions in life are beinga spiritual director, prayer mentor, and author. Georgie went from having a tragic deforming incurabledisease and near blindness to experiencing in the seventh year the naturalsteps to totally self-heal. 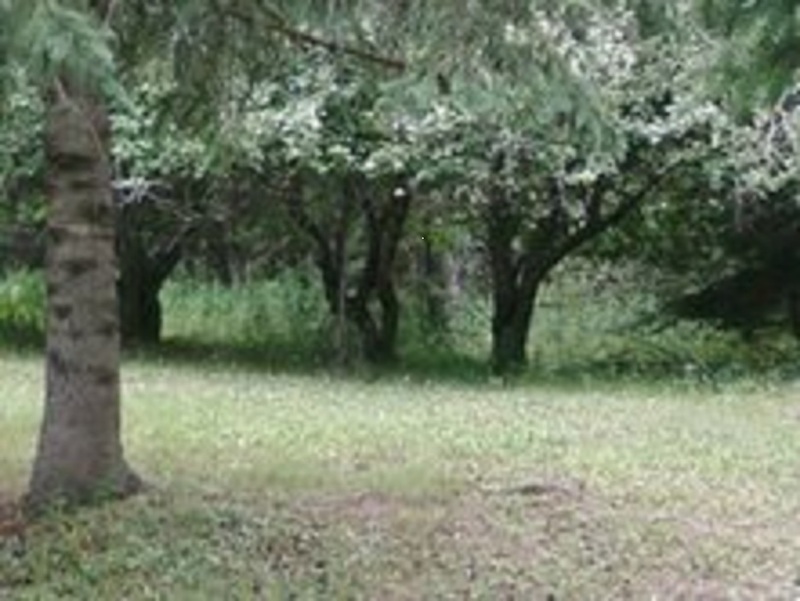 Having been given a second chance, she dedicatedher life to sharing the gift of her healing discoveries with others, in hopesof helping them see the serious consequences of self-neglect, that humanself-devaluation must stop, and the enormous possibilities and passion thatcome when living true to self.